20% vapor tax will dissuade smokers from quitting. 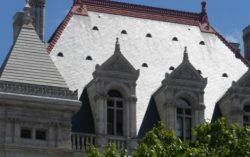 Online PR News – 02-April-2019 – NYS Legislature passed the NYS 2019-2020 Budget. Initially it included common sense regulations encouraged by New York State Vapor Association (NYSVA) which would have ensured stricter identification check in stores and online, State approved training courses for tobacco and vapor product license holders and significantly higher fines for selling to minors. These regulations were intended to reduce sales of vapor products to youth. Most were removed from the final version of the budget. Not removed was the 20% vapor tax on nicotine liquid containing products which are not registered with the FDA as medical devices/products. Despite recent studies showing e-cigarettes to be twice as effective for quitting smoking as some FDA approved nicotine replacement therapies, vapor products are not considered medical products and the FDA has not yet finalized a pathway for vapor product approval. "In other states, similar taxes closed dozens of small businesses in under a year. Vapor taxes left empty storefronts, higher unemployment, and more people smoking cigarettes," Michael Frennier of NYSVA states. "This tax could reverse the progress our industry has made in reducing tobacco smoking rates in NYS over the last decade." This 20% vapor tax was intended to fill a hole in the budget caused in part by the reduction in taxable tobacco sales. The number of New Yorkers smoking tobacco has dropped significantly as more smokers switch to vapor products to protect their health which has reduced NYS income from tobacco taxes. In addition, most tobacco products in NY are sold in the illicit market which is untaxed, unregulated and often does not occur in a licensed retail location, which also means there is no age verification. This 20% vapor tax will likely increase the illicit vapor product market and underage sales. It also puts an extreme sin tax on a product that hundreds of thousands of New Yorkers depend on to keep from smoking cigarettes. "When did keeping youth from vaping become secondary to budget revenue? When does it become about the health of New Yorkers instead of about the money?" asks Cheryl Richter of NYSVA.